Sydney, Nov 15: Ahead of the gruelling five-Test Ashes rubber against England starting on November 23 in Brisbane, mind games from both sides have begun with former Australia skipper Ricky Ponting predicting a sweep for the hosts. Ponting, who led Australia in 77 Tests and four Ashes campaigns, however favoured the tourists to win the historic day-night fixture in Adelaide, as the conditions will favour the swing duo of James Anderson and Stuart Broad in the second game. "My prediction is that I think it will be four-nil Australia, and I think the best chance that England have got will be in Adelaide where a night game, pink ball, the night time conditions will suit Anderson and Broad down to the ground," Ponting was quoted as saying by cricket.com.au. "But if they don't win that one, I can't see them winning one." 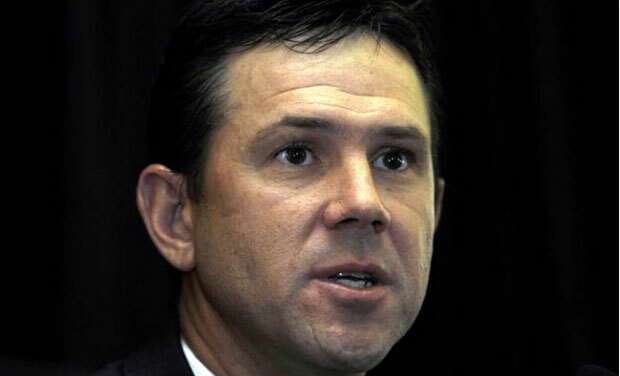 Ponting also hit back at English greats Sir Ian Botham and Graeme Swann's comments on the home side's poor batting line-up, saying England should "be looking in their own backyards" rather than casting aspersions on Australia's personnel. Botham recently described Australia's top-order batting line-up as "one of the poorest I've seen" while former off-spinner Swann -- who quit cricket mid-tour during Australia's 5-0 Ashes whitewash in 2013-14 -- claimed it was "one of the weakest (batting) line-ups they have had" over the past two decades. "I think they (Botham and Swann) should be looking in their own backyards before they start worrying about ours. "I don't remember seeing too many England teams, certainly in the last 15 years anyway, with some of the batsmen that I've seen them play over the last six to eight months. "Some of the guys I've seen I'm not too enamoured with," he said. "I've been a bit more outward than normal about this one because I honestly think that Australia will win really easily," Ponting added. While the first Test will be played at the Gabba in Brisbane, the second match will be played from December 2-6 at Adelaide. The WACA Ground in Perth will host the third game from December 14-18 while the Boxing Day Test will be hosted at the MCG in Melbourne followed by the final Test from January 4-8 at the SCG in Sydney.